Online training workshops and seminars are often an excuse for a day-off and some free food. Is it possible to engage employees in online training environments without these perks? In this article, I’ll share 6 tips to host an online training workshop to reignite employee excitement. The typical employee spends most of their workday sitting in front of a computer terminal. If they’re lucky, their employer gives them some access to social media. This allows them to occasionally take mental breaks from the taxing mental strain of work. Either way, their computer is their primary work tool, and their only escape is meetings. Online training merges meetings with desk work, and it can be hard to get employees enthused over this amalgamation. It is possible though, with a little attention and planning. Put yourself in your employees’ shoes. What would you require from an online training workshop? Here are 6 top tips to host a successful online training workshop that engages and motivates remote employees. No matter how exciting your online instructor or facilitator is, employees won’t pay attention if the subject matter doesn’t interest them. Plan your online training around areas that appeal to your team. You could run a quick survey to discover topics they’d like you to deal with. It could be in the form of a poll where they can vote by clicking. A more common option is to ask employees to fill a brief online questionnaire. You might even ask them to offer anonymous suggestions to their department heads. Or they could leave comments on the eLearning blog. Post an article or a question asking what they’d like to be trained on. Incorporate their responses into your online training curriculum. Corporations are instinctively geared towards efficiency, and the most efficient way to train is to lump everyone together. It saves time and resources. Unfortunately, it’s not the best way to keep team members engaged. If you train a big group, many employees will fall between the cracks. They will see it as a perfunctory activity with no real function. Restrict online training groups to 20 at a time, so that each employee can get personalized attention. It gives them a chance to actively participate and feel like they had their moment in the spotlight. It also makes it easier to identify and correct any issues that may arise. There are many benefits to holding training sessions in person, but it’s not always possible. If you’re running your training workshop online, do the next best thing. Find a time that works for everyone and have a live online training event. This way, employees can respond in real time and the trainer can get immediate feedback. Having a live online training workshop also allows team members in different physical locations to interact. The online training set-up lets them relax more than they would during a formal work assignment. It also gives scope for some small talk and informal engagement between team members. Select a Learning Management System that allows employees to respond by typing messages on their screens. The messages should have both private inbox and group settings. In social settings, light online training activities are a good way to break the ice and get people warmed up. In an online setting, this is even easier. Use a simple game that is fun and doesn’t require much concentration. Invite participants to play a word game. Start with any word and ask participants to continue the thread by commenting with a single word. You could also encourage them to share the last photo they took on their mobile phones. This playful approach will produce some good laughs. It’s also a quick way to raise the level of camaraderie within the virtual room. It might also offer some helpful transitions into the online training material. A few fun minutes at the beginning of the online training workshop will make the rest of the session much more productive. In-person classes have many kinds of learners. There’s the one whose hand is always up. There’s the one who never volunteers, but if you call on them they always have the right answer. An online training workshop can reach all these learner stereotypes simply by making it easy to interact. Let employees know they don’t need to type an essay. They can simply use an acronym or emoji. Agree on applicable abbreviations beforehand. Ensure the LMS has a handy set of smiley faces and icons that employees can use. Everyone has an opinion, even though not everyone wishes to share it. Getting employees engaged in a debate depends on your topic of choice. Pick something relevant, but not too serious. You want a lively online discussion, not an all-out war that will initiate office feuds. You might pick something simple, like a famous TV series or character and ask a question about it. Or you might pick something from the office space. It could, for example, be a sneaky way to crowdsource ideas on what snacks to add to the vending machine. An online training workshop can seem like a mandatory chore for employees. However, there are lots of things you can do to liven things up and get your team involved. Select a training topic that appeals to them. Train 20 to 25 team members at a time. Plan the schedule so that they can all attend simultaneously in real time. Then introduce light games to warm them up and give them easy feedback options. 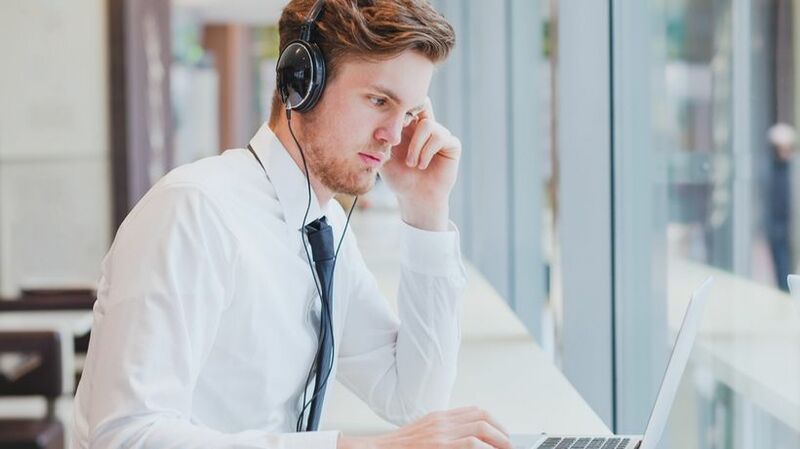 Some positive disagreement will also help to actively engage remote employees and hold their attention, which is particularly useful for busy, distructed, and stressed employees. Use these 6 ideas to bring your online training workshop to life. This way it will be more effective and will improve corporate eLearning ROI. Are you considering an online training webinar for your geographically dispersed workforce? Read the article 8 Tips To Host Online Training Webinars For Your Global Workforce to discover helpful tips to host a successful live event for your remote employees.